Peel and core apples, cut into pieces. 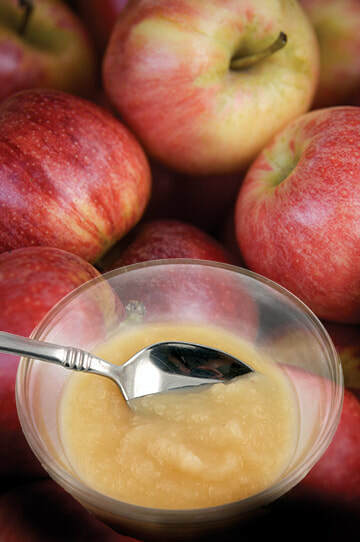 Place apples, water, and cinnamon stick in heavy sauce pan and bring to a low boil. Reduce heat to a simmer and cook till very tender (10 to 15 minutes). Remove from heat, stir in sugar (if desired) and cool. Process in blender or food processor until very smooth, chill and serve.